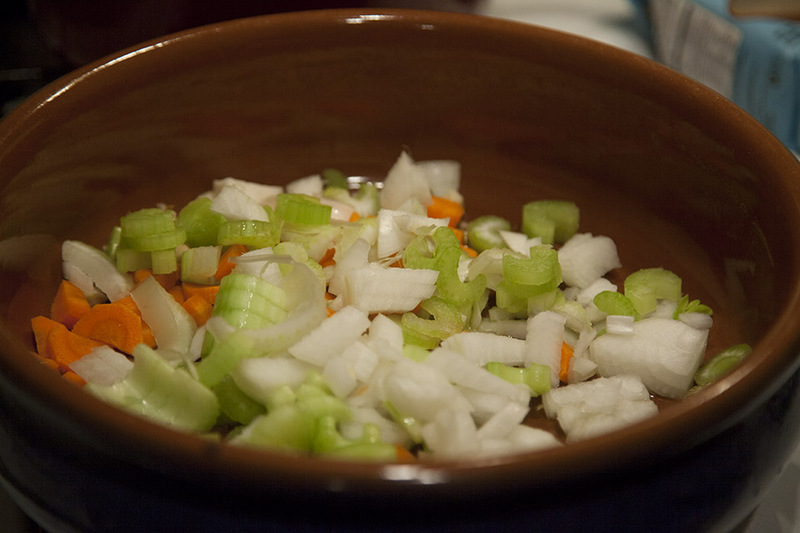 Over medium heat, warm olive oil in a soup pan and sauté carrots, celery, onion and garlic for 5 minutes. Add pureed tomatoes, peppers, turmeric and cook stirring for 2-3 minutes. Pour in water, add chicken and salt, bring soup to a boil and simmer for 30 minutes. 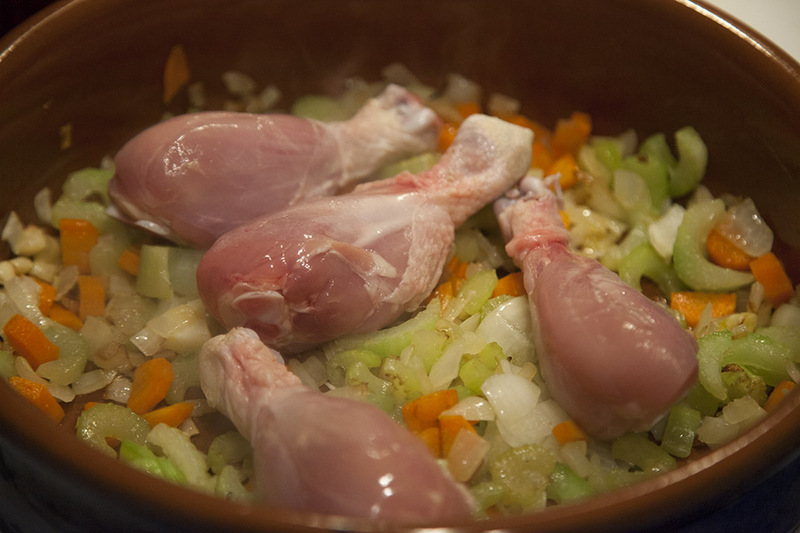 Transfer chicken to a colander and let it to cool. Meanwhile, add farro and kale to a soup. When chicken is cool enough to handle, remove meat and discard bones. 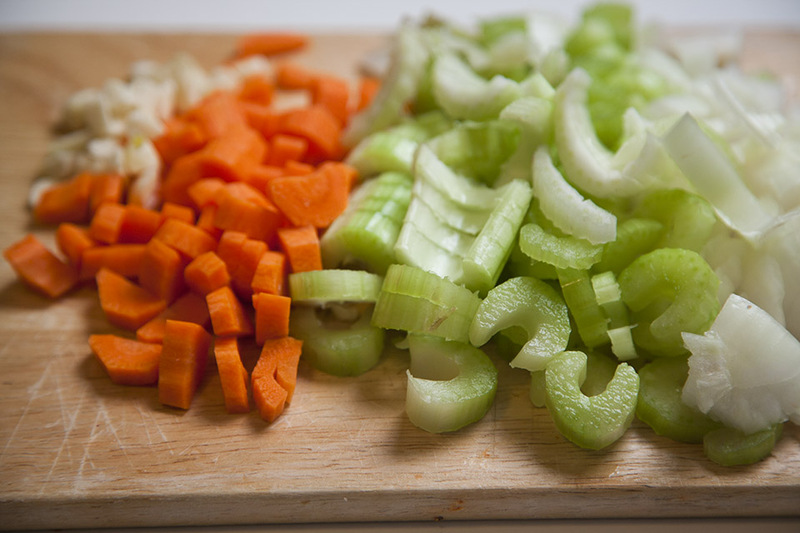 Shred chicken and return to the soup. I use 10-min. 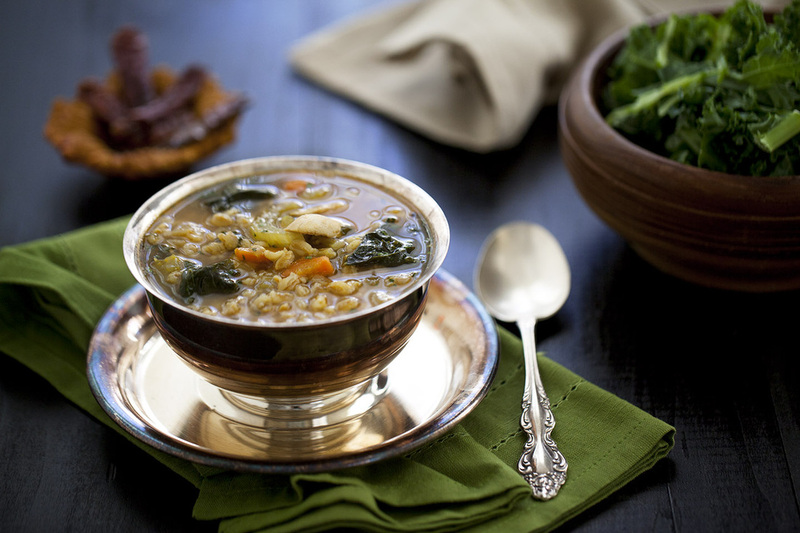 farro in this recipe, so the cooking time, after I added farro to soup, was 15 minutes. 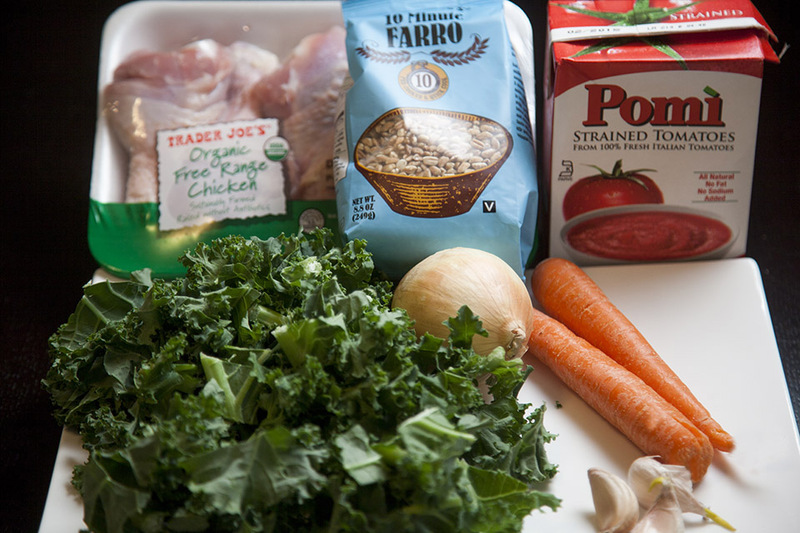 If you use regular farro, the cook time ranges between 30 and 40 minutes. Overnight soaking will reduce the cooking time to about 15-20 minutes. 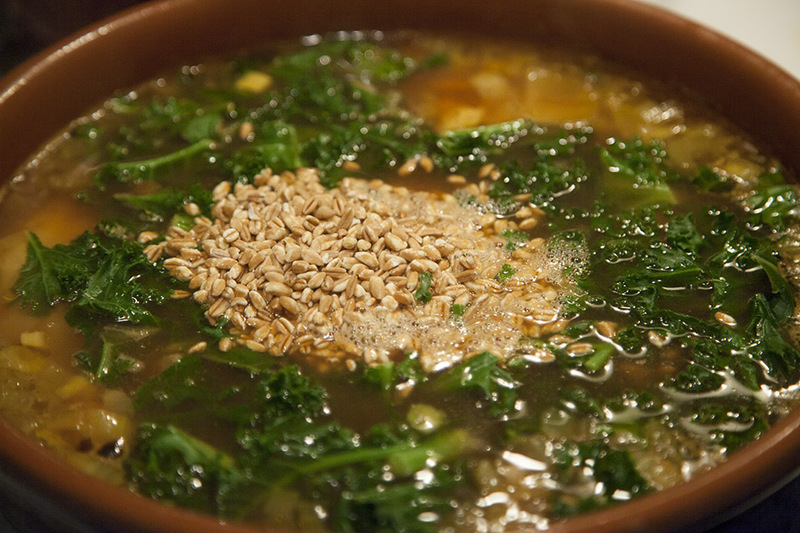 Kale needs to be cooked for 10-15 minutes, so, if you use regular farro that was not soaked overnight than add kale to your soup when farro is almost ready.